A simple black and white theme. 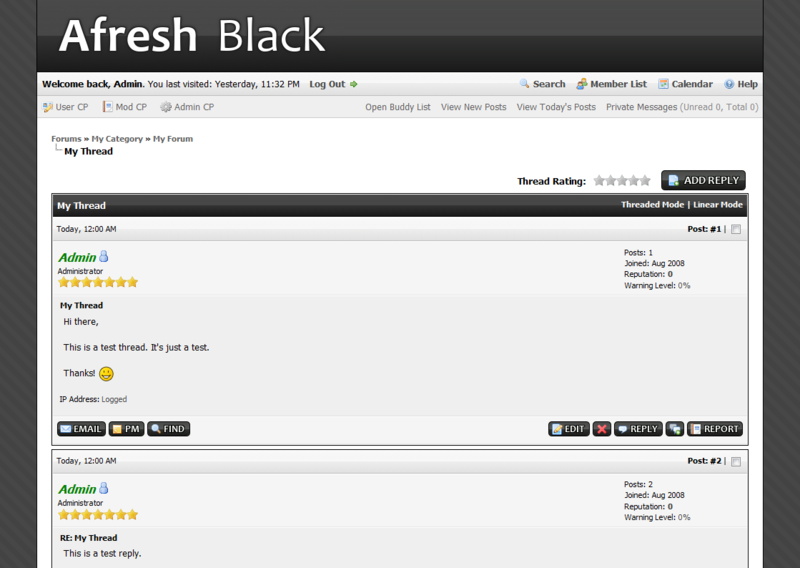 The Afresh theme series for MyBB 1.4 is a set of simple yet beautiful themes in various color combinations. 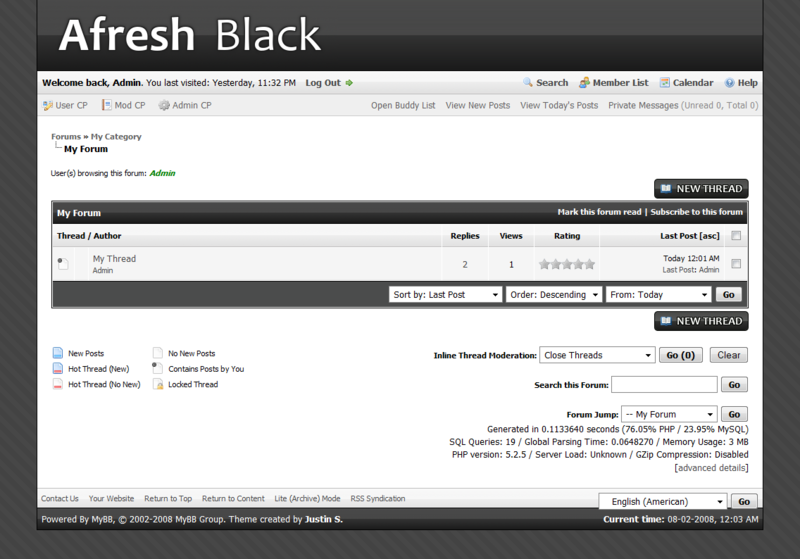 Afresh Black uses black and white tones to create a professional yet calm atmosphere. 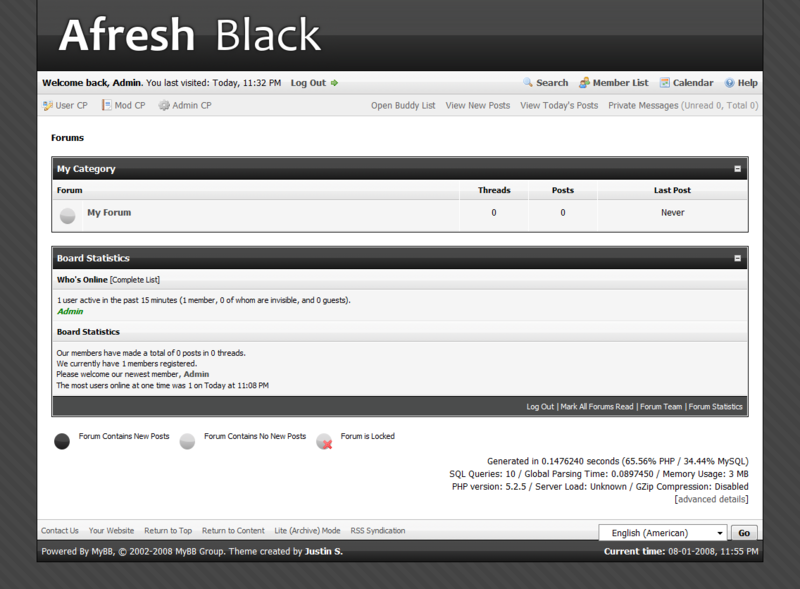 Please post question and issues with this theme in the Afresh theme series thread.